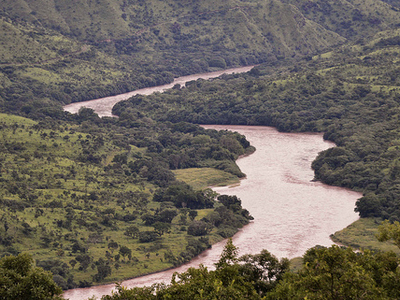 The Omo River is an important river of southern Ethiopia. Its course is entirely contained within the boundaries of Ethiopia, and empties into Lake Turkana on the border with Kenya. It is the principal stream of an endorheic drainage basin; the part that the Omo drains includes part of the western Oromia Region and the middle of the Southern Nations, Nationalities, and People's Region.During his second expedition (1895–1897), Vittorio Bottego was the first European explorer to follow the course of the lower Omo River to its confluence with Lake Turkana. In its course the Omo has a total fall of about 6000 ft (2,000 m), from an elevation of 7600 ft at its source to 1600 ft at lake-level, and is consequently a very rapid stream, being broken by the Kokobi and other falls, and navigable only for a short distance above where it empties into Lake Turkana, one of the lakes of the East African Rift. The Spectrum Guide to Ethiopia describes it as a popular site for white-water rafting in September and October, when the river is still high from the rainy season. Its most important tributary is the Gibe River; smaller tributaries include the Wabi, Denchya, Gojeb, Mui and Usno rivers. The Omo River formed the eastern boundaries for the former kingdoms of Janjero, and Garo. 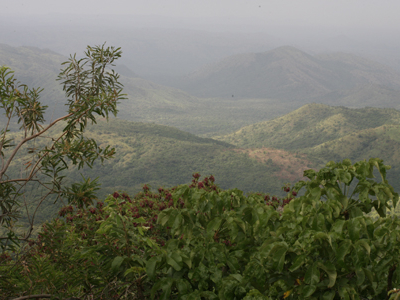 The Omo also flows past the Mago and Omo National Parks, which are known for their wildlife. Many animals live near and on the river, including hippopotamuses, crocodiles and Bitis arietans. Here's the our members favorite photos of "Rivers in Ethiopia". 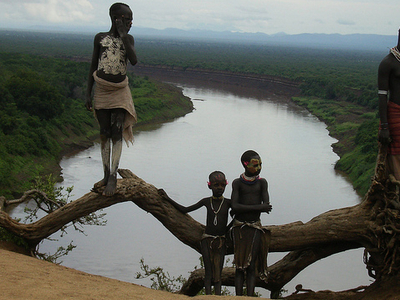 Upload your photo of Omo River Valley! Connect with Esubalew Awoke, Melak Tadesse and 3 other members who have already visited Omo River Valley.